I don't know how to use a chat room so please excuse me if I don't do this properly. 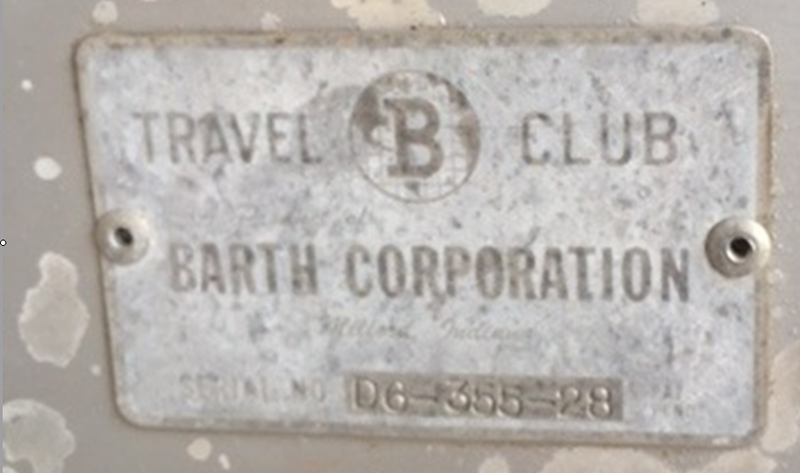 I recently acquired a Barth travel trailer. It looks like it it is 28 or 30 feet long. Everything I have seen is shorter then that. I would like to see a floor plan for this trailer . I am very excited about restoring it but I need more information. Could anyone help me? 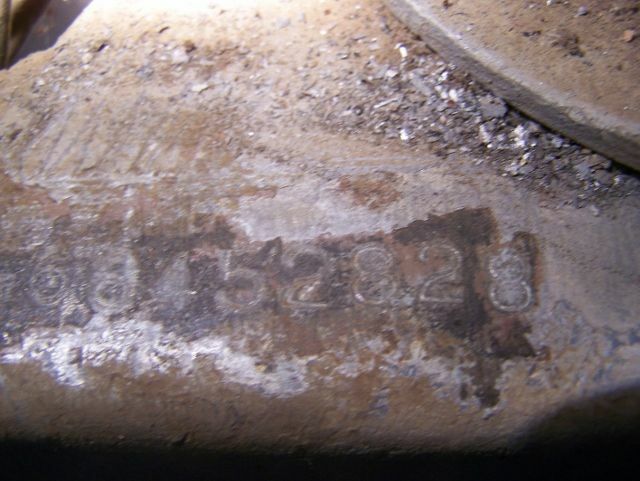 If the tag was removed or has fallen off you will find numbers stamped into the metal like this. from ordinary email attach a photo of the tag. Put 0000 in the subject. Remember that is four zeros not OOOO. 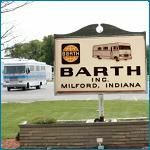 Our barth Junkies here will tell you more about your camper. There is also a message here to get some help. D6-355-28 Found this in the bucket. Might be this one Kevin. Not I sir, but maybe a response from the member Denise who started this topic. I posted the quote below earlier in this topic for her. If you found it in 0000, I would suspect it was that member Denise. Assuming it was her put a feather in Denise's hat for a successful email sent to Photobucket. I am still having trouble getting info about my trailer. The floor plan I found on this sight for a 28 ft is different then mine. I have two doors in the front. Can anyone help me. 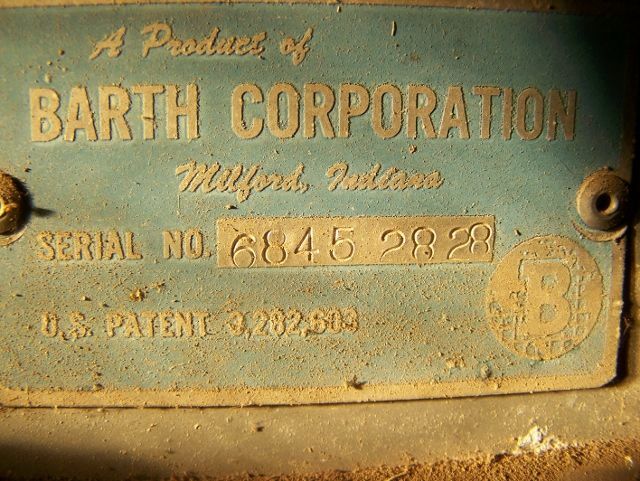 I looked at the 28' Barth Trailer in 1966 and that's the only image I have too. 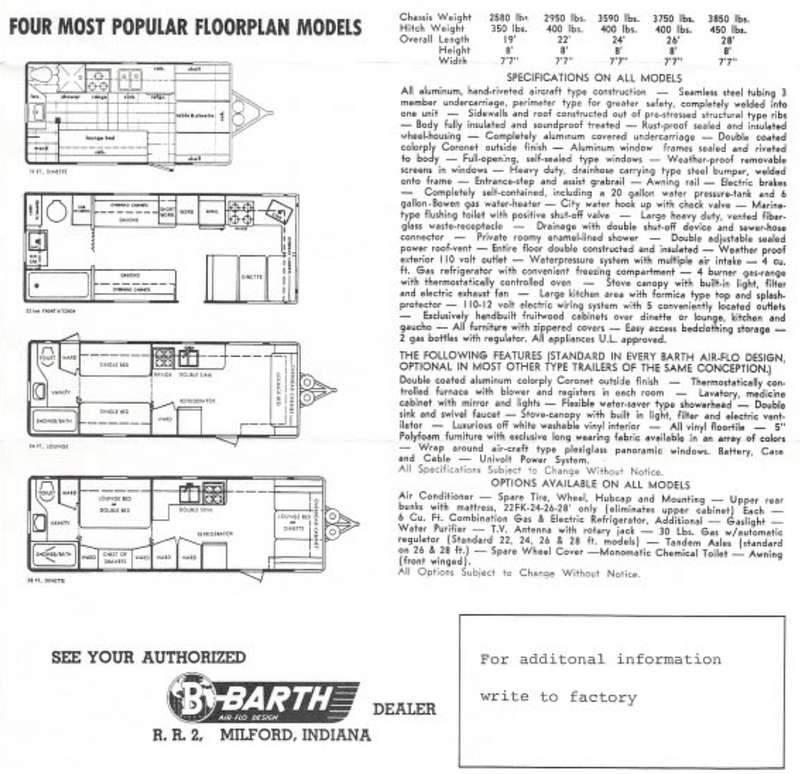 Barth would build it anyway you wanted a configuration and the rear bathroom was the standard for a 28' model. You've got the longest trailer in our data tag project so we can't ask any other member who has one.